The fields of maternal and child health (MCH), public health, and health care itself are in a period of rapid change, both in terms of the needs of target populations and in the way that professionals must navigate new and evolving systems to ensure services to those who need them most. 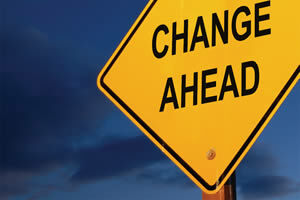 Change management emerged first in the 1960s as part of Everett Rogers Diffusion of Innovations approach; change management seeks to provide individuals/professionals and organizations/systems with the abilities (drawn from behavioral and social sciences, information technology, and the business world) to meet new challenges. In MCH, it is particularly important to equip the Title V workforce and key organizations with the ability to meet the opportunities and challenges of a transformed MCH Block Grant and health care reform more broadly. This Spotlight provides links to selected trainings and related tools on key topics identified by the National MCH Workforce Development Center, including: (1) understanding transformation and change; (2) collaborating; (3) thinking critically and innovating across systems; (4) sustaining effort; and (5) learning as an organization and developing new leaders for new roles in a transformed system. As online trainings emerge, the MCH Navigator will update this resource with new material. These trainings support the National MCH Workforce Development Center as it offers state and territorial Title V leaders training, collaborative learning, coaching and consultation in implementing health reform in 4 core areas: access to care; quality improvement; systems integration; and furthering change management that will lead health transformation for MCH populations. Also see the Health Transformation Portal for additional resources. Coffee Talk Series. Year Developed: 2015. Source: National MCH Workforce Development Center. Presenter(s): Various.Type: Webinar Archive. Level: Introductory. Length: Series; various lengths (all under 30 minutes). This four-part series, hosted by the National MCH Workforce Development Center, focuses on how change management benefits the Title V workforce. Coffee Talk 1: Title V Transformation provides a brief overview of the major changes in the Title V Block Grant guidance related to the new performance measures, Five Year State Action Plan, and emphasis on documenting family engagement in all areas throughout the life course. Coffee Talk 2: Getting to the Table provides provocative questions to consider as Title V professionals seek out a "seat at the table" (or work to create a new table) in the new opportunities evolving from the Title V Block Grant and health transformation in the states. Coffee Talk 3: Leading Change ​focuses on pertinent leadership skills using Dan Heath's process for leading change, followed by Karen Trierweiler's personal experience of leading change in Colorado's Department of Public Health and Environment. Coffee Talk 4: Managing Change shares a brief overview of the leadership skills and capacities needed to lead collective impact initiatives, followed by the speaker's personal experience in creating collective action among key players during a major statewide MCH reorganization. These learning opportunities are organized by the Five Change Management Competencies Needed by Public Health Managers as outlined in Thompson JM. Understanding and managing organizational change: Implications for public health management. J Public Health Management Practice 16(2) (2010). 167-173. Adaptive Leadership: A Model for Meeting the Most Difficult Challenges(2011) describes the tasks of leadership, focusing on solving problems by collectively developing significantly different perspectives and approaches, with actions leaders should take to make this possible. Presenters: David Steffen, Claudia Fernandez. (24 minute slide presentation (no audio), Maternal and Child Health Public Health Leadership Institute). Leading in Changing Times [Part I]: Great Leaders are Great Decision Makers: The Importance of Decisiveness (2013) addresses the importance of saying no to lesser priorities, managing details, and implementation. Presenter: Karen Trierweiler. (46 minute webinar. AMCHP). Leading in Changing Times [Part 2]: The Challenge of Change (2014) provides an overview of the key concepts of leadership and change, with personal experiences of combining several programs into one department in Maine. Presenter: Valerie Ricker. (46 minute webinar. AMCHP). Leading in Changing Times [Part 3]: Leaders with a Vision–The Ability to See Beyond the Present (2014) provides an overview of the key concept, leadership and vision, followed by the speaker's personal experience in re-building the MCH program after it was disbanded in a reorganization of her department in Alaska. Presenter: Stephanie Wrightsman-Birch. (44 minute webinar. AMCHP). Managing Change in Public Health: Bringing out the Leader in Each of Us (undated) explores the change process and examines typical responses to change, environmental influences, and how individuals can choose to be proactive toward change and adopt leadership strategies for adapting successfully within the pubic health field. Presenter: Sheila W. Chauvin. (Self-paced video lecture, South Central Public Health Partnership). Leading in Changing Times [Part 2]: The Challenge of Change (2014) provides an overview of the key concepts of leadership and change, with personal experiences of combining several programs into one department in Maine. Presenter: Valerie Ricker. (46 minute webinar. AMCHP). Note: this webinar is located at the bottom of the page. Changing World of Work: Are You Changing Too? (2012) discusses trends in the changing world of work, how individuals can learn to manage and control how change affects them, to seize opportunities and mitigate risks, and position their careers to make a difference in their organizations and others. Presenter: Marty Martin. (90 minute video, Alabama Department of Public Health). 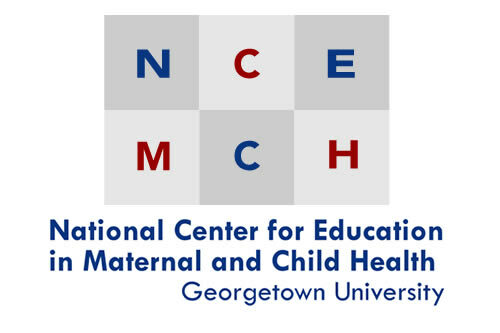 Maternal and Child Health Leadership Skills Development Series: Module 5–Organizational Change (2008) presents information and activities on understanding our response to change, planning for change, and a change readiness strategy. Presenter: Ann-Michele Gundlach. (258 minute video course. Johns Hopkins Bloomberg School of Public Health Women’s and Children’s Health Policy Center). Diversity and Succession Planning (2013) presents a seven-step succession and diversity presentation method, a review of how staff development activities tie to succession planning work, templates for succession planning, and a deep dive into the methods for integrating diversity and cultural competence work into succession analysis. (Self-paced. University of Minnesota School of Public Health). List of all courses(Note: you need to scroll down the page to find and access this course). The True Meaning of Succession Planning (2013) is structured around the premise that succession planning is not just about identifying and grooming the next generation of leaders. Rather, “it is an on-going part of workforce development efforts designed to sustain an organization or agency’s capacity.” (60 minutes. AMCHP). Building Adult Capabilities to Improve Child Outcomes: A Theory of Change (2013). (Center on the Developing Child at Harvard University). Building Health Literate Organizations: A Guidebook to Achieving Organizational Change (2014). (UnityPoint Health). Guide for Action Learning Sets (2014). (National MCH Workforce Development Center). Leading Through Health System Change: A Public Health Opportunity (2015). Planning tool, guided practices, MCH module. (Georgia Health Policy Center, National Network of Public Health Institutes, Centers for Disease Control and Prevention). Managing Program Change: Experience from Maximizing Enrollment States in Leadership, Culture Change, Coordination and Data (2013). (National Academy for State Health Policy). State Levers for Change (2014). (Association of State and Territorial Health Officials). The True Meaning of Succession Planning (2013). Corresponding slides. (AMCHP).